Cherie's favorite red -- get it while you can. This month I'm encouraging the "wearin' o'the red" to promote awareness of women's heart health. Consider if you look better wearing silver or gold jewelry. If you chose silver, try a cool red with blue undertones. LHJ recommends Estee Lauder's "Rich Red" or Bobbi Brown's "Hollywood Red." If you chose gold, try a warm red with peach, coral or orange tones. LHJ likes Estee Lauder's "Spanish Red" and Bobbi Brown's "Vintage Red." If you're fair -- like me -- you might want try a sheer red that builds on your natural lip color. Deeper skin tones can use a full coverage formula. CHERIE'S PICK: I once heard that actress Sophia Loren bought out the remaining stock of her favorite lipstick shade when it was discontinued. It might be the same with my tube of red that I've had for quite awhile. 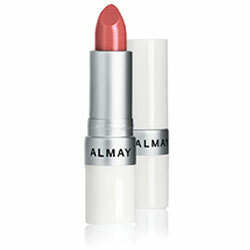 Almay Ideal Lip Color #255 Red is hard to find. I love it because it's sheer and bright. I found a limited quantity at BuyMeBeauty.com. Get it while it lasts.